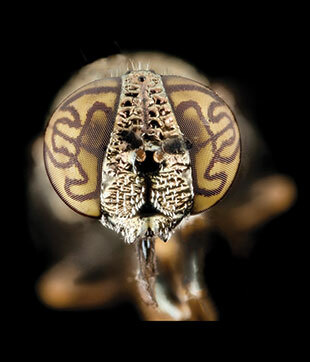 BRIGHT EYES: Hover flies (Orthonevra nitida) with such distinctive eye markings are a common sight on every continent except Antarctica. Posted: August 1, 2014 USGS/SAM DROEGE/FLICKR PREGNANT OCTOCORAL? 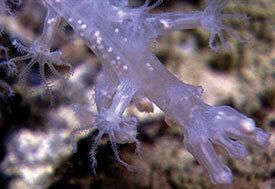 The white dots within the body of this octocoral (named for the eight tentacles on its polyps) are thought to be developing embryos. 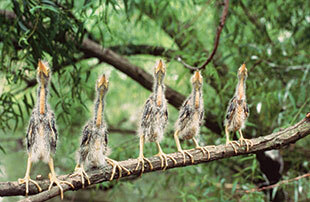 Posted: July 11, 2014NOAA/FLICKR HUNGRY, HUNGRY HERONS: Five young green herons (Butorides virescens) perch on a branch.